With all the excitement about the Super Bowl, advertising has sky-rocketed, with companies and brands fighting for the tough commercial spots because the event averages the largest viewership. But there’s also plenty on the line for people off-field as well, including marketing departments across the world. More than 100 million viewers tuned into NBC’s live TV broadcast of the NFL championship game, a colossal audience especially in the ruthless age of cord-cutting and millions more streamed the game online. This year’s Super Bowl commercials largely took a break from politics and offered up silly humor instead. Advertisers, who have paid good money to capture a sliver of your attention, jockey for eyeballs – one good reason why a 30-second television commercial during this year’s big game averages over $5 million. These are a collection of some ads that grabbed my attention from the game and still run in my mind. Saatchi & Saatchi, New York and the Tide marketing team’s “It’s a Tide Ad” campaign is one of the most catchy ads on the list, pulling off one of the biggest heists in Super Bowl history. 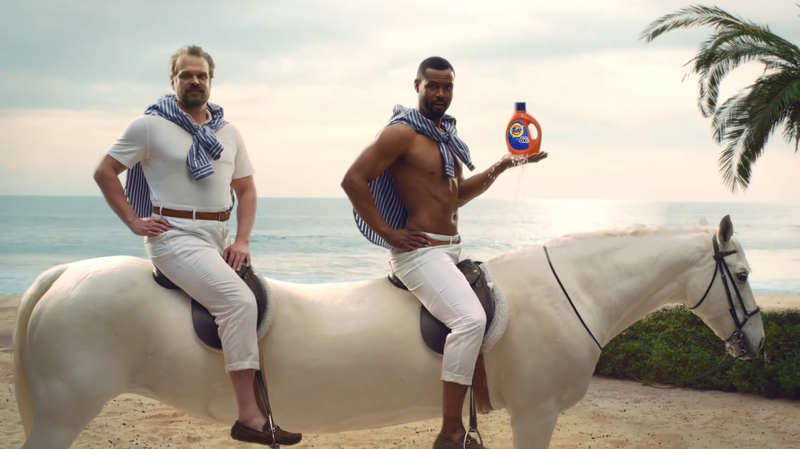 Convincing the audience to think of Tide every time they see a clean shirt on TV is no easy feat, but by mocking every stereotypical Super Bowl ad and pointing out the clean clothes on display, Tide has managed by default, to make people believe that it’s a Tide ad. Surprising and memorable, the four versions start out like classic typical ads in other categories before comically revealing that they were actually Tide ads. This contrast-riddled advertisement stands out of your typical everyday commercial, PepsiCo brands Doritos and Mountain Dew in a throwdown lip-sync battle. The hot rap sequence is only made hotter with Peter Dinklage representing Doritos with Busta Rhymes in his corner, and Morgan Freeman who brings about an all new cool by collaborating with Missy Elliot on team Mountain Dew. Amazon’s star-studded 90-second spot is hilarious, and a recipe for success. It features a host of celebrities including Rebel Wilson, Gordon Ramsay, Sir Anthony Hopkins and even Amazon founder and CEO Jeff Bezos. But considering the premise of the ad which imagines the company’s efforts to find a replacement if Alexa ever lost her voice and the fact that Amazon is one of the world’s richest companies, it’s a pretty safe bet that there will be more star power coming on during the Super Bowl. The intriguing commercial has already been viewed over 8.5 million times on YouTube. The two beer companies, Budweiser and Stella Artois are going right for the heart with their commercials about doing some good and providing water to places in the United States that were impacted by natural disasters, specifically Texas, Florida, Puerto Rico, and California. Water.org an NGO, stars co-founder Matt Damon in the Stella Artois ad, which promotes the partnership between the beer company and the non-profit organization that provides clean and safe drinking water to developing countries. According to Budweiser, their Cartersville, GA brewery has proudly provided more than 79 million cans of water for relief efforts since 1988, including two million last year. Here is one that supports the cause for vegans, James Cromwell, the vegan actor who received an Oscar nomination for his role in the 1995 movie Babe, headlines a PETA commercial that’s sure to generate some controversial buzz in the wake of the Super Bowl. This Pepsi commercial looks to bridge the generation gap of its diverse consumers. The ad features several generations of Pepsi packaging and marketing, star-studded with cameos from Cindy Crawford, Britney Spears, Kyrie Irving’s ‘Uncle Drew’, Jeff Gordon and Michael Jackson. It connects the commercials of past generations and shows how long Pepsi has been in the game and that they’re here to stay. The competition between the two rival brands, Coke and Pepsi has lasted over the generations. Coke’s 2018 ad promotes the diversity of its brand and products, linking that to the diversity of its customers with a message of unity and shared memories. They will also be running a new Diet Coke “Because I Can” campaign, with the ads featuring Gillian Jacobs and is for the health-conscious. This will be the brand’s 12th consecutive year advertising during the Super Bowl. Bud Light’s 60-second Super Bowl spot is a continuation of the battle commercial that they’ve been running in recent weeks. In this one, the historically-staged battle comes to a standstill when “The Bud Knight” shows up and carries out his mission. The commercials are quite entertaining especially the part where it points out that battle or not, alcohol is always there. For better or for worse, the ad has a surprising lack of ‘Dilly Dilly’, which probably connects with the younger generations. Skittles is intent on taking exclusivity to the next level. The candy company claims that its commercial this year will only be shown to one teenage fan, whose reaction will be shown during the game in a Facebook live stream. Like what even? All the hype so one teen can see it? Mystery and suspense at its peculiar best! The strange, unorthodox strategy sure seems to be working, with the internet buzzing about this much-awaited commercial. 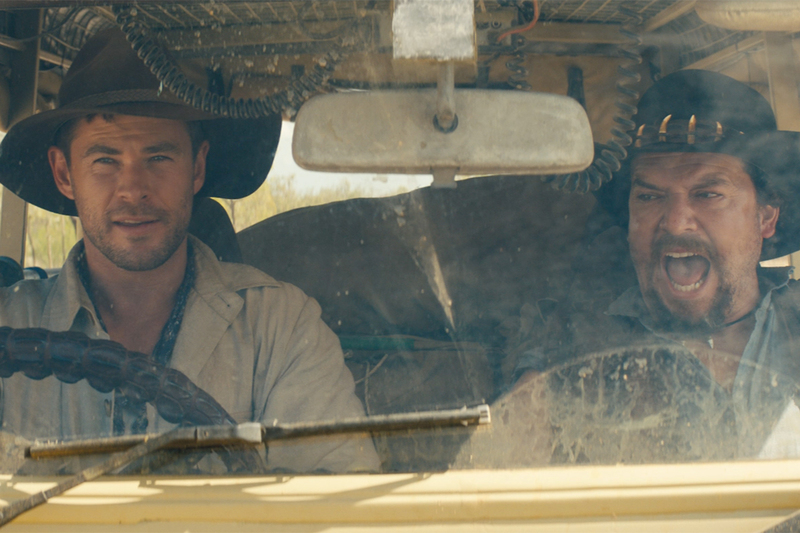 They say seeing is believing and Tourism Australia has managed to trick the internet into believing that it’s doing a reboot of the ’80s hit Crocodile Dundee, a clever marketing stunt for this year’s Super Bowl. The series of teasers for the fake sequel stars a loaded roster of Australian movie stars including Chris Hemsworth, Hugh Jackman, Margot Robbie and Russell Crowe as well as Danny McBride. As you can probably guess, digital engagement for the brand is through the roof. It’s no surprise that advertising during the Super Bowl has become somewhat of a fierce competition on its own. The attraction has only gotten more hype and attention as the Super Bowl has gotten bigger and better. Brands often use celebrities or other strategies to generate more interest and loyalty from the viewers tuning in, and this year was no surprise as a host of stars flooded the ad campaigns, launching cameos that made digital excitement hit the roof. Congratulations Eagles! Underdogs in every playoff game they have played, the Philadelphia Eagles just won the Super Bowl, a wildly entertaining night, filled with trick plays, missed kicks, two potentially crucial replay reviews, and just one punt all night. The thoroughly memorable, utterly remarkable game was made all the more entertaining by the humorous ads aired.